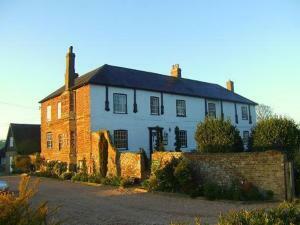 Choose from 52 hotels and guest houses in Kent. Shown below a just a selection of the hotels available. To search within an area please use the menu on the right. Stay at the Ramada Tunbridge Wells and experience everything you'd expect from an international hotel company. 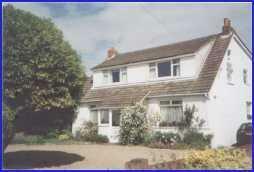 Superior 3 star property located near M25. Poolside Leisure Club. Mallows Restaurant and Oast House Bar. 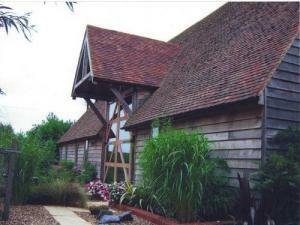 Located close to the Spa town of Tunbridge Wells in the heart of the Kentish Weald this modern stylish hotel was built in the style of a traditional Oast house and is in the ideal location whether you're travelling on business or leisure. Each of the 84 bedrooms has an en suite bathroom, satellite TV with pay per view movie channel, radio, hairdryer, trouser press and direct dial telephone with internet connection, as well as tea and coffee making facilities. Suites, studio rooms and rooms designed for the disabled and non smoking rooms are also available. 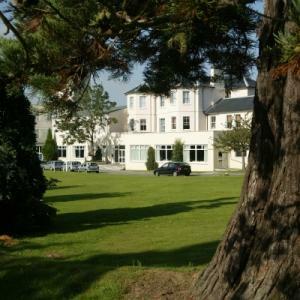 The hotel offers a range of facilities for guests with the perspective on disability including fully accessible bedrooms. A great location for a short break, in the heart of the 'Garden of England' and just ten minutes from Royal Tunbridge Wells with its great shopping, old High Street and the famous Pantiles. You'll be spoilt for choice of attractions to visit nearby including, Chartwell House, Hever Castle, Hop Farm Country Park, Penhurst Place and the Museum of Kent Life. Downsview guest house is suitably located close to Ashford town centre and offers a cosy, comfortable and friendly service. Accommodation is comprised of 6 en suite rooms, where you can make yourself a tea or coffee before relaxing in the seating are in front of your own digital TV. Each room also has its own ironing/trouser press facility. Some rooms offer wonderful views of the North Downs. Continental breakfasts are served in Downsview's dining room, which overlooks the gardens. Boasting picturesque views of the English Channel and the North Sea, this charming hotel enjoys an elevated position on the cliff tops in Kingsgate, near Broadstairs, Kent. The Fayreness boasts a range of facilities to ensure a pleasant and relaxing break by the sea, whether you are visiting on business or leisure. Take advantage of the comfortable lounge bar, sample local cuisine in the sea view restaurant or simply unwind in your well equipped guestroom. Ideally placed for golf enthusiasts, The Fayreness Hotel is adjacent to the famous North Foreland Golf Club and within a few miles of both Princes and The Royal St Georges Golf Clubs in Sandwich and Canterbury Golf Club. In a quiet setting, this Grade II Listed, beautifully converted Kentish barn boasts elegant accommodation and picturesque grounds. There is easy access to London via the A2. A warm welcome awaits you, with tea or coffee on arrival. Twitham Barn was built around 1700, so its charming and luxurious rooms have real character, countryside views and exposed beams. 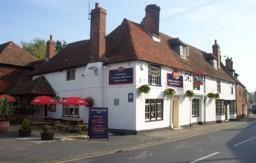 Local pubs and restaurants are near, and you can enjoy the picturesque gardens and terrace surrounding Twitham Barn. Surrounded by the historical houses and castles, this hotel exudes character and charm, just 15 minutes from the M25 and with easy access to local, renowned tourist attractions. Originally the farm serving Hever Castle, a sympathetic conversion of the original stables and cottages has created a series of hotel rooms and apartments that are charmingly individual. Hever Castle was the childhood home of King Henry VIII's queen, Anne Boleyn. 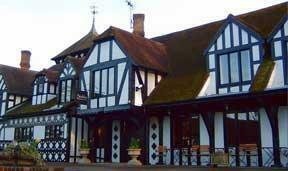 Hever Hotel is 10 minutes from Edenbridge, and approximately 45 minutes from central London. Trains run from Edenbridge through to London Victoria, and from Hildenborough through to London Charing Cross. Overlooking a leafy square in the heart of the oldest medieval village in Kent, this charming hotel combines modern comforts and accommodation with beautiful original features from the 14th century. The Lime Tree Hotel has been beautifully restored and sensitively renovated to create a smart, cosy and welcoming atmosphere. The historic building's original oak beams and lovely original brickwork have been carefully preserved. The hotel offers luxurious boutique-style accommodation in the form of 9 well-appointed en suite rooms, all with modern facilities including TVs and tea/coffee making facilities. 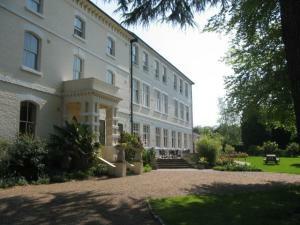 Just off the A20 Maidstone to Ashford road, the hotel is in the heart of Kent, The Garden of England. Nearby attractions include Leeds Castle, the Museum of Kent Life and the lively nightlife of Maidstone. The centre of London is just under an hour away and the port of Dover is just 40 minutes from the hotel. The hotel is less than 12 miles (20 km) from Ashford International Railway Station, which offers Eurostar train services to continental Europe. The fine dining restaurant offers European cuisine and the menu changes regularly to reflect the finest, freshest seasonal produce available locally. Located in magnificent, historic 1066 English countryside with breathtaking views across the High Weald ridges. You will be surprised and delighted to discover Dale Hill. Dale Hill was recently voted into the top 10 British finest hotels and golf breaks by Golf Monthly, and with its Ian Woosnam designed golf course is currently at 134 in the uk and Ireland top 150 courses for 2004 by World of Golf. With 35 well-appointed 4 star, international standard en suite rooms, the atmosphere is refreshingly modern and comfortable with plenty of natural light and wonderful views. The south facing executive rooms also have balconies from which to relax with a beverage and watch the world go by, or perhaps enjoy a meal from our room service menu. Relaxing at Dale Hill could not be easier with our leisure facilities, which include an indoor heated pool, sauna and gymnasium. While golfing activities abound, the countryside around Dale Hill boasts a rich tapestry of heritage. Follow in the footsteps of William the Conqueror and visit the famous battlefield where Harold was defeated. Explore historic castles, including Leeds, once described as the loveliest castle in the world, or discover the wonderful historic and well-manicured towns and villages of Rye, Lewes, Tenterden and Royal Tunbridge Wells providing excellent sightseeing and shopping. Dale Hill is licensed to hold Civil Ceremonies and has brand new wedding, function, and conference facilities able to comfortably cater for 2 to 180 people. We look forward to welcoming you soon to Dale Hill. In historical Folkestone, the 2-star AA graded Southcliff Hotel sits on the Leas, the town's panoramic promenade, with car park and good motorway links for Eurotunnel and Dover connections. On a clear night, you can see the lights of France from across the English Channel, and the rolling green hills of the South Downs. Use the hotel as your base to explore the Kent countryside or even as a starting point for a visit to France. The Kings Arms Hotel is in the centre of Westerham, which is 20 minutes from Blue Water Shopping Centre and close to the M25. 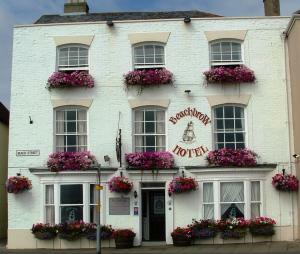 The well-presented hotel has welcoming staff, a fine restaurant, a cosy bar and a unique cellar-bar function room. A carvery is available on Sundays from 12:00 to 16:00. Enjoy al fresco dining, or relax in the gardens or on the terrace in summer. 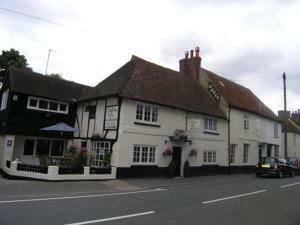 Rooms at the Kings Arms have modern facilities, including satellite TV. Offering stunning panoramic views over the English Channel from atop the Pegwell cliffs, the Pegwell Bay Hotel is ideally situated. Complete with 42 fully refurbished en suite bedrooms, you're free to relax in the residents lounge area (with bar) or the adjoining Sir Stanley Gray pub. Ideal for a comfortable business trip or a relaxing break beside the sea, the hotel can also accommodate special functions for anywhere up to 130 guests. Ample free car parking enables you to make the Pegwell Bay Hotel your base for an exploration of the picturesque Kent coast. 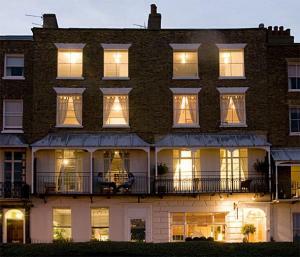 The Russell Hotel: Accommodation, Conference facilities and Wedding venue in Kent's County Town of Maidstone. 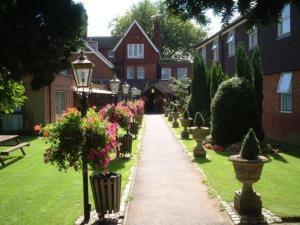 Our hotel is situated at the heart of the 'Garden of England' on the outskirts of Maidstone. The Russell hotel is the perfect venue whatever the occasion. Quality accommodation via 42 well-appointed bedrooms, superb Conference & Banqueting facilities and beautiful landscaped gardens make the hotel an ideal Civil Wedding, Reception or Meeting venue. All residents are able to make use of the excellent facilities at the David Lloyd Health & Fitness Club nearby, completely free of charge. All of the en-suite hotel bedrooms have satellite TV and dataport points. No lift in the hotel. This modern hotel has a fresh decor and is close to the Eurostar, Eurotunnel and junction 9 of the M20 motorway. 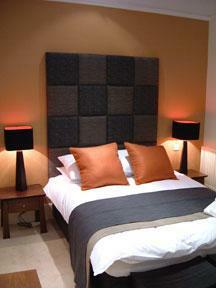 The refurbished, contemporary rooms have flat-screen TVs and air conditioning. Enjoy 2 hours of free Wi-Fi internet access (charges apply after 2 hours). Reflections, the hotel's fitness and spa area, has a 20-metre indoor pool, a jacuzzi, rock sauna, steam room and 6 new treatment rooms. The hotel has 19 state-of-the-art conference and meeting rooms holding from 2 to 400 people. Horizon Restaurant and Wine Bar is sleek and modern, and has a brasserie-style menu. Quench Bar is an informal sports bar showing live sports events and news. Nestled within a 268 acre private estate, this elegant Grade I listed building stands at the centre of a peaceful and relaxing resort in Barham, near Canterbury. Broome Park Golf and Country Club features comfortable accommodation within contemporary woodland log cabins, located in the grounds. Originally built in the 17th century, the main house is home to a fine dining restaurant and a welcoming bar. For moments of relaxation, Broome's grounds feature a private 18-hole championship golf course. Alternatively, you can venture further afield to explore the wonderful surroundings, including the cathedral city of Canterbury. Imagine a hotel with a relaxed informality and the highest standards of service. Our elegant Victorian offers en suite standard, executive rooms and junior suites, most enjoying spectacular sea views and superb Turner sunsets. 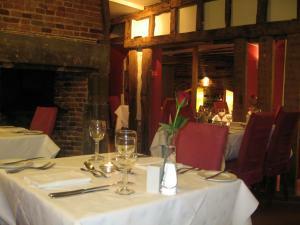 In the restaurant we serve the finest food from the freshest Kentish ingredients. A new Orangery is the perfect setting for snacks, speciality coffees, in-house pastries and excellent wines. At the Smiths Court the only thing we overlook is the sea.